Apple’s CEO Tim Cook has commenced his India visit with a visit to the Siddhivinayak temple in Mumbai. 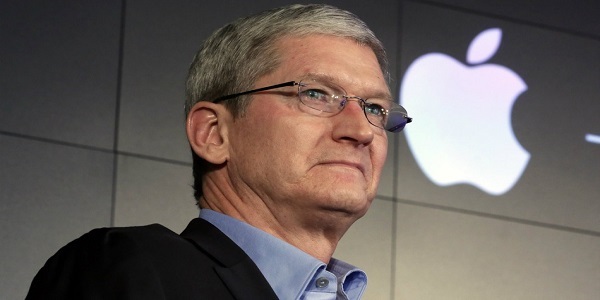 This is Cook’s first visit to the country after taking the CEO at the tech giant Apple in 2011, succeeding its legendary founder Steve Jobs. In his visit to India, Tim Cook had a meeting with founders of four startups on the first leg of his India trip, as he looked to understand what the country’s young mobile app developers are building. Cook met executives of home services application UrbanClap, software products maker Cynapse, online shopping application Sweetcouch and Avaz , which has developed speech therapy app for autistic children. The four startups were selected by the team at Apple about a week ago, but were not informed that they will be meeting Cook. They were briefed that they will meeting a team from Cupertino, the city in California where Apple is headquartered, as part of a developer meeting in the coming week. The meeting took place after Apple announced the launch of a “design and development” startup accelerator in India’s Silicon Valley, Bengaluru. Cook said in a statement earlier in the day that the new accelerator facility would help iOS developers create innovative apps for the company’s customers globally and that the new facility would provide resources to support entrepreneurs. Cook walked in soon after the meeting started, shook hands with all the founders and was mostly listening in a meeting that lasted for about an hour at Taj Mahal Hotel, Mumbai. “It was more him getting comfortable on what is happening in India and understanding the tech startup ecosystem here,” said one of the people present at the meeting. All the four startups gave a demo of their iOS mobile applications to Cook, who was full of questions and even insights about the applications. [su_box title=”More From DSIM” box_color=”#c7c7c7″ title_color=”#000000″ radius=”5″]1) CASE STUDY: How MyDala has created its niche in online coupon and deal market in India? 2) STARTUP: How this fitness app Fitpass has inspired the bunch of people to do workout with lower cost and higher flexibility?